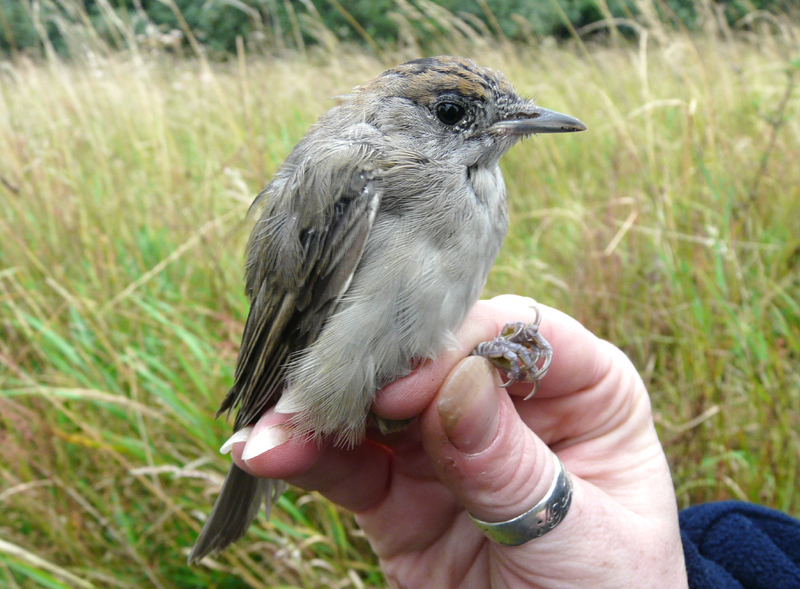 would we catch a sprosser, icterine warbler...hell, a red-backed shrike would do. 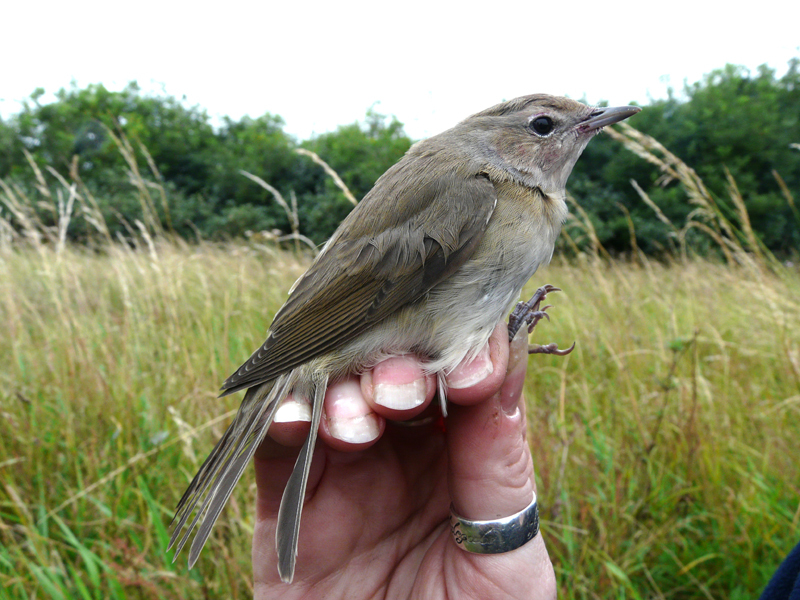 Well, we didn't catch any of those and had to make do with a garden warbler. garden warblers are always nice to catch at Druridge, they are certainly migrants as they don't breed here, this one was certainly on the move and had a good supply of fat on board to help it along the way (6 fat for any ringers reading this). 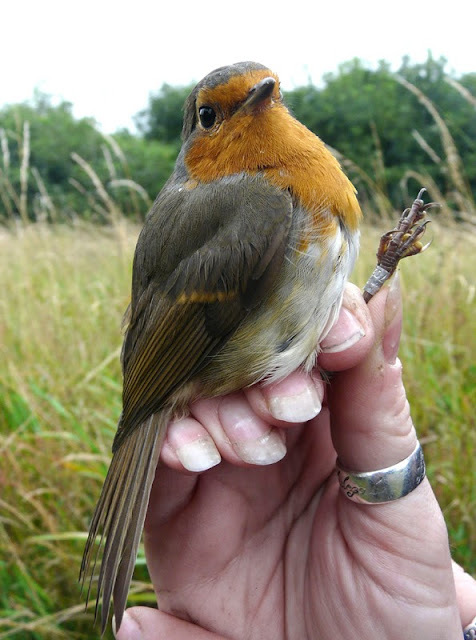 smart juvenile robin, nearing the end of its post juvenile moult. The rare bird of the day came in two miles further north. After ringing I decided to do some concreting, just clearing up, still caked in the stuff I get call from the Newton Stringer......you might want to get to Hadston Links, Martin Kerby has found either a booted or sykes warbler....sykes...........YKES! more like, in a shaggy from Scooby-do styleeee. 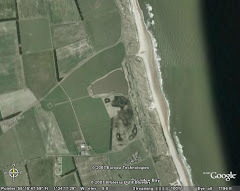 There was a good few folks already there when I arrived, in the bushes on the dunes behind the Country Park - known as the frog pond when I worked there (for ADMc and SS - the frurg purnd!). The warbler was well ensconced in a thick goat willow but did come out to show itself a couple of times allowing good views. I'm not commenting at all on it's ID, I'll leave that to others far more experienced than me. It looked as though it had gone to roost when I left, I hope it is still there tomorrow for others to see and hopefully get those clinching photo's. If it crosses the road into the Country Park, it may as well vanish into thin air! Finally, does anyone know what this strange beast is? Nice one for Dean or Skev! 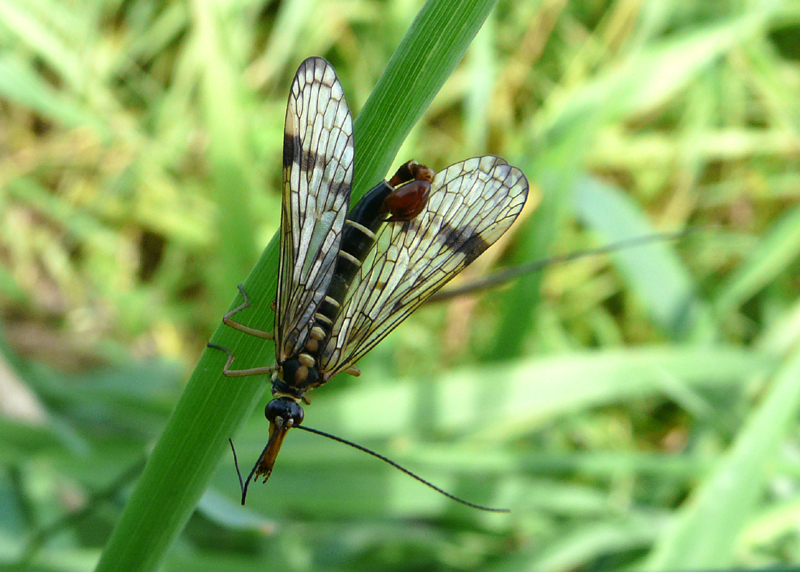 Species of Scorpion Fly (Mecoptera)? I think the insect is a scorpion fly Ipin. Seeing that you mentioned my name Ipin, i`d better reply with Scorpion Fly. Scorpion Fly it is then... thanks for the ID. Warren - I guess it always has and always will be a boy, only now you can tell!